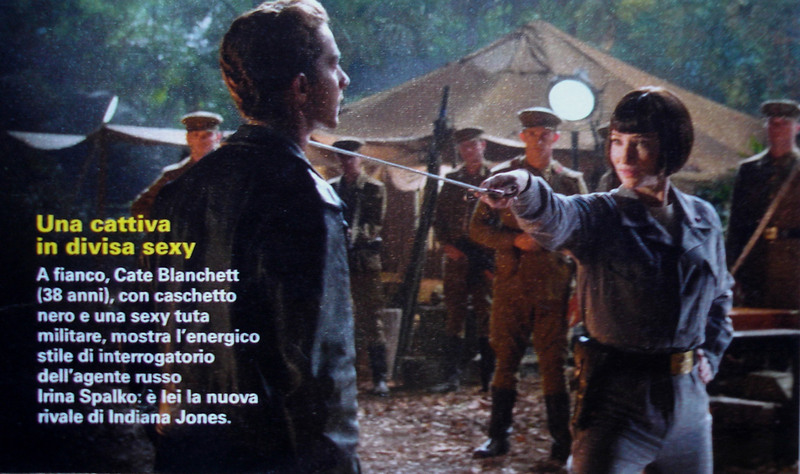 I’m not sure where this new Indiana Jones and the Kingdom of the Crystal Skull photo came from, appears to be an Italian magazine. I’m posting the full photo after the jump to avoid front page spoilerage (although if this type of scene will appear in the trailer or magazines than I don’t really consider it a spoiler…). Shia LaBeouf as greaser Mutt Williams and the long end of Soviet Agent Irina Spalko’s (Cate Blanchett) sword.Â Click on the photo below to enlarge.